One of the most interesting people I have met through this blog is Maria (Fry) Race, a Springfield native and fourth-generation Lithuanian-American who lives in Elmhurst. Ill. and is director of environmental services for Edison Mission Energy, owner of 4 coal plants and 31 wind farms. Maria grew up in the Laketown neighborhood, the older of two daughters of Jeanette (Tonila) Gooch and Frederick Fry. Her grandmother, Agnes (Tonila) Gooch, grew up on Reynolds St., one of nine children of John George Tonila and Agatha (Mankus) Tonila, who immigrated separately from Lithuania around 1900. 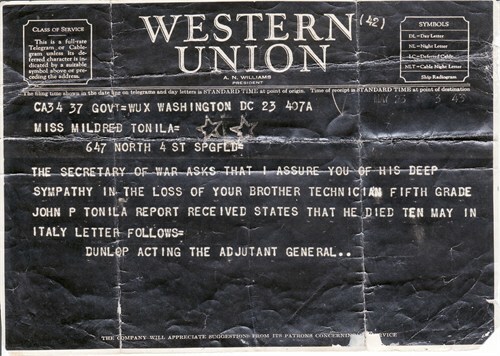 Great-grandfather Tonila was a coal miner. One of his sons, John Tonila, (Maria’s great uncle and a Golden Gloves champ, according to family lore) gave his life in the WW II Battle of Monte Cassino near Rome, Italy in May 1944, and was memorialized with other parish war dead on a special plaque in Springfield’s Lithuanian-Catholic St. Vincent de Paul Church. 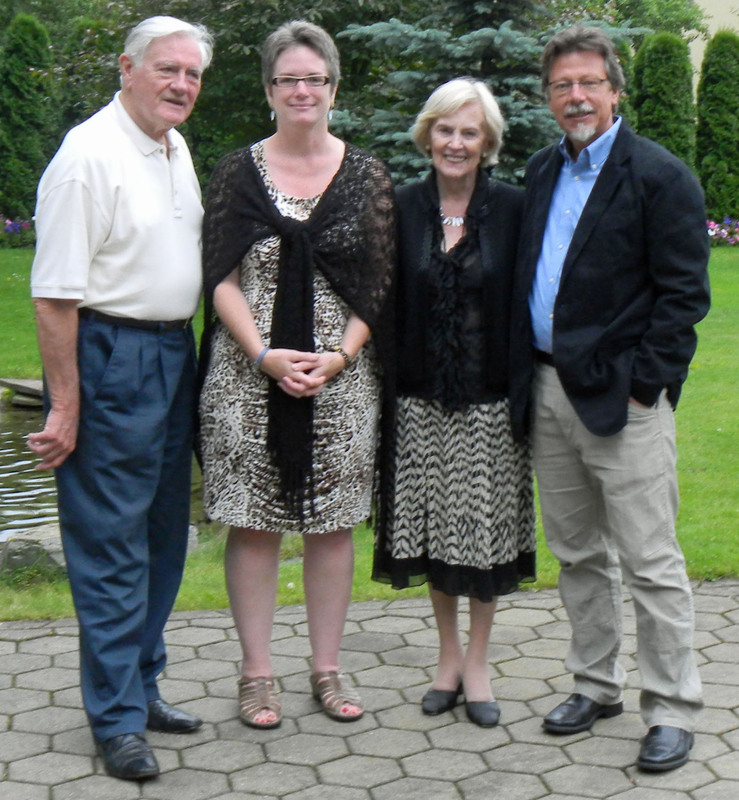 Starting in the mid-1990s, while Lithuania was re-establishing itself and struggling to escape the grinding poverty of the long Soviet era, Maria began donating to medical relief charity Lithuanian Mercy Lift. http://www.lithuanianmercylift.org/about.html Then she began helping LML president Ausrine Karaitis locate older or discarded medical equipment in the UIC labs, where both women were working, to send to Lithuanian hospitals and nursing homes. In 2011, just after LML disbanded, Maria accompanied Ausrine to visit some of the facilities and people they had helped. 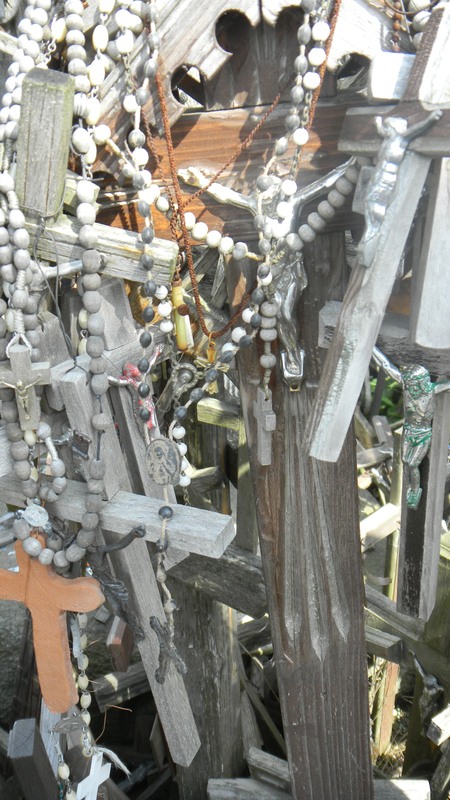 While in Lithuania, Maria also took a rosary that had been at her grandmother Agnes’s grave at Calvary Cemetery and placed it at the famous Hill of Crosses in Siauliai. “It was hard to leave it there because I had had it for a long time, but it felt right,” Maria recalls. She has four sons: 17-year old twins Austin and Alec, who are high school seniors going to ISU and DePaul University next year. Her other sons are Ian, 15, and Julian, 12.